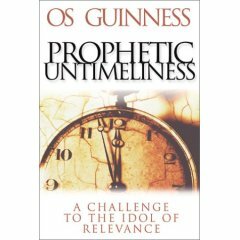 I recently read "Prophetic Untimeliness" by Os Guiness. I would recommend it. In it, the author echos the advise from C.S. Lewis to mix up your reading a bit. Throughout history, the "whatever's now" modern perspective usually carries with it the idea that if an idea isn't new, then it's not valuable. So Lewis advises, if you read a new book, choose an old book next time. It's a good idea to gain perspective from more vantage points than a modern one. My friend Aaron tells me about the concept in G.K. Chesterton's writing around the "democracy of the dead" as a great voice to look to as we form ideas and world views. Chesterton said, "Tradition means giving votes to the most obscure of all classes, our ancestors. It is the democracy of the dead. Tradition refuses to submit to the small and arrogant oligarchy of those who merely happen to be walking about." They have left behind their writings for us read and we should let them help us. And that is our problem, isn't it? Admitting we need help. Well we do. We would do well to listen to older people and read older writings. G.K. Chesterton and C.S. Lewis have both entered into that democracy and their writings are a great help to us now. We are not re-inventing the church. We don't get to do that. The church wasn't thought up...it was born. And we, surrounded by a very real "great cloud of witnesses" would do well to not presume our ideas are new and/or better. Grieving - At it’s most basic, grieving is living through the shock of death and summoning the mental, emotional and spiritual strength to press on and rework your life around this huge gaping hole that your loved one left. There’s no way around it but sometimes you feel like just sitting down and not walking for a while. Everybody says the wrong thing and you give them grace for that because no body knows what to say. For being “not okay”, we’re doing okay. Youth With A Mission, Modesto - We’ve reworked our web site by adding some things...there’s music there now and our family’s January podcast is available. Las Vegas - Speaking of YWAM, we took a little trip recently to drop our last local volunteer off at her Discipleship Training School in Pismo, Beach. Then we headed to Joshua Tree national park for two nights of retreat and on to Vegas for a YWAM South West business meeting where they told us we have a new regional director...she’s great! It was a good time and I’m looking forward to the future with YWAM here. But Vegas? mmm...a bit too spendy and confusing for my tastes. I love the YWAM team there..they love the city and are working to be real lights in a truly dark place. Eregon - disappointed in the book, disappointed in the movie. The book got better the last 150 pages, the movie got worse in the last hour. The dragon was nice to look at though. Apocalypto - Jimmy, Aaron and I saw it last night and it about wore me out. It was really violent, bloody, stressful and well done. While it is not for the weak of stomach, it is beautiful and moving with many things to say about the decline of a society, what’s really important, identity and what’s worth fighting for. For me, worth the journey...if you haven’t seen it...proceed with caution. Good news and bad news - A family that has lived in the motels for years now recently got a house. It is way better than the motel but still in a slum. The landlord does not care for the property, just his money. It’s better though as there is more room and we can now play soccer with the kids in their small yard (no grass but you take what you can get). The bad news is that better housing does not change the heart of man. These kids are still in the care of shortsighted, immature adults. We need wisdom for our contact with this and so many other families and the patience to pray and let God do his more perfect work. CAROLYN ANN HEWITT OCT. 30, 1944 - DEC. 30, 2006 Carolyn Ann Hewitt, 62, of Modesto, went to her rest on Saturday, Dec. 30, 2006. She leaves her husband, Paul Hewitt; her children, Kevin Hewitt, Cyndee Hewitt, Amie Whitler, and Daniel Hewitt; Nine grandchildren; her mother, Margaret Nelson; her brothers, Larry and David; and a multitude of other loving relatives and friends. 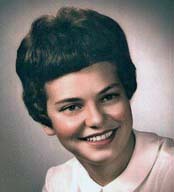 Carolyn was born to Elmer and Margaret Nelson in Minneapolis, Minn. on Oct. 30, 1944, the youngest of the three children. She graduated from Hopkins High School. She married Paul Arthur Hewitt on Feb. 7, 1964. She spent the last few years as a caregiver for seniors. Viewing services will be held at New Hope Christian Fellowship, 4204 Dale Rd., Modesto, on Thursday, Jan. 4th, 2007 from 5:00- 8:00 pm. Family and friends are invited to celebrate her life at New Hope Christian Fellowship, 4204 Dale Rd., Modesto, on Friday, Jan. 5th, 2007 at 1:00 pm.